Mrs. Aduddell is a graduate of the Sandra Day O’Connor College of Law at Arizona State University where she also earned a certificate in Law, Science, & Technology. As a law student, Mrs. Aduddell applied and was selected for a place on the Emerging Technologies Research Cluster, and during her tenure on the Research Cluster co-authored a paper on Internet Governance. During the summer between her second and third year of law school, Mrs. Aduddell moved to Texas when her husband was stationed with the Texas Air National Guard at Lackland Air Force Base. She attended the University of Texas School of Law in the Fall of 2014. During the Spring of 2015, she interned for Chief Justice Sandee Bryan Marion and Justice Marialyn Barnard on the Fourth Court of Appeals, as well as for then Chief Justice Fred Biery of the United States District Court for the Western District of Texas. 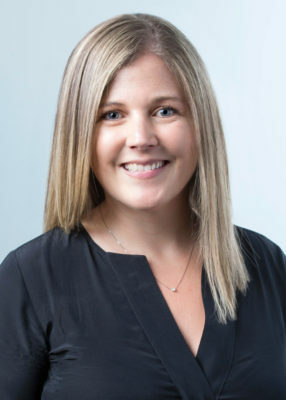 Mrs. Aduddell joined Gonzalez, Chiscano, Angulo & Kasson in May 2014 as a law clerk, and after taking the Texas Bar Exam in July 2015 became a full time associate.